Home / Attorney Profiles / Christopher James Berlingieri, Esq. 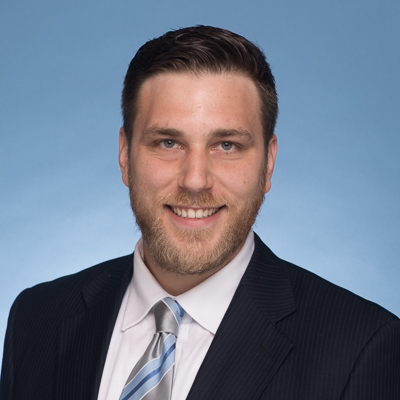 Christopher James Berlingieri, Esq., represents individuals in complex employment matters including victims of wage theft, overtime and minimum wage cases, discrimination, sexual harassment, retaliation, wrongful termination, wage and hour under state and federal laws, in New York and Connecticut. Christopher represents clients in the New York State Division of Human Rights, Connecticut Commission on Human Rights and Opportunities, New York City Commission of Human Rights and Opportunities, EEOC and New York State and Federal Courts. Berlingieri Law PLLC, seeks to enhance access to the legal system for individuals without the ability to pay high hourly legal fees by offering to retain clients on a contingency fee basis. After working with disadvantaged and immigrant clients in the metro New York City, Christopher founded Berlingieri Law, PLLC in 2015, seeking to enhance access to justice for underrepresented communities in New York and Connecticut. As the founding member of Berlingieri Law, PLLC, Christopher strives to serve his clients with the respect that they deserve. With Berlingieri Law, PLLC, clients get the attention they deserve and do not just become another file, every case matters. Client satisfaction is our top priority, and we keep our clients apprised of all information ongoing in their case at all times. Christopher regularly takes cases on contingency fee agreements or fee arrangements. He is bilingual in English and Spanish. Berlingieri Law, PLLC – Small firm attention – Big firm capabilities! Providing Employment Law Solutions to Workplace Problems. After talking to a few law firms , I chose Chris and am pleased with the service . Everything has always been answered in a timely manner and I appreciate having your firm handle my case; Chris has put my mind at ease and really tried hard to fight for me. I would absolutely recommend your firm to family and friends. Mr Berlingieri was very patient, diligent, and flexible when working with me. He explained every part of the process of my legal action throughly without being condescending. He made sure that at all times I was informed and that he had my back and would fight for me. In the end while the payout was less than we hoped for, the results were positive in that I was able to move on in my career and I was able to make a previous employer admit and pay for violations of laws. Chris took the time to listen and to understand the circumstances and the outcome that I was seeking. He carefully explained the options for moving forward and how he could help. Chris was respectful of my time. He was professional, capable, knowledgeable and his persistence made sure that we moved forward with every conversation. I recommend him highly. I’ve utilized Mr. Berlingieri’s services over the course of the last year and can say that he goes out of his way to assist you. His relational skills are earnest and his candor complete; he made sure my legal problem was resolved or if not, at the very least gave me a timeline and best options at every stage of the way. I highly recommend him.